Rhys Chong is a Physiotherapist based in London and has been practicing for 23 years, specialising in sport and spinal physiotherapy. 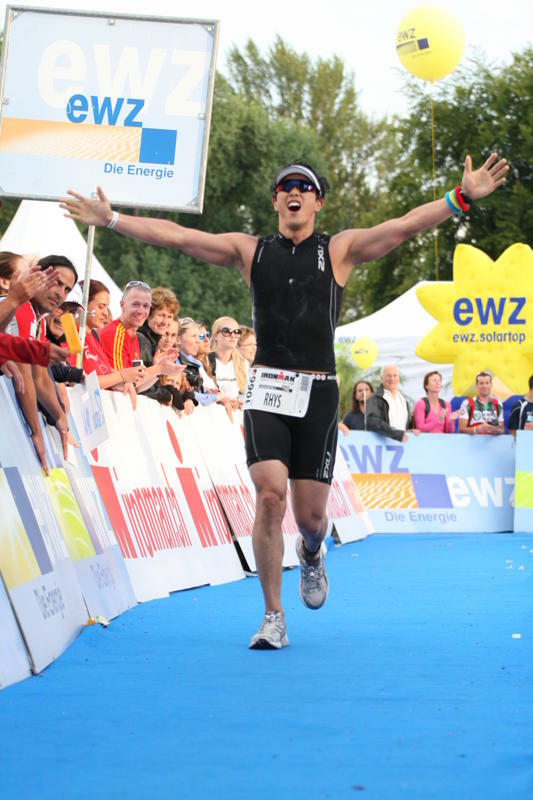 In 2010 he completed his first Ironman Triathalon in Zurich, Switzerland after 12 months of training. He is now known as ‘The Ironman Physio’, supporting first time Ironman athletes. The clinic, Physical Edge has pioneered a transformation in postoperative recovery of the spine, knee, shoulder and hip and the team are committed to the continued development of the recovery process. Postoperative recovery requires teamwork, with the client as an active member of that Team. At Physical Edge, the Team identifies what stress needs to be relieved, both physical and emotional, and then using combined skills and the knowledge acquired from working with a multitude of post-operative clients, the Team do the little things which make the biggest difference. The Team goal is to ease your pain, get you moving and back to normal life and full mobility as fast as possible. If you are committed to do what it takes to achieve your postoperative goals, Physical Edge can help. Physical Edge created the Optimum Post-Operative Recovery Blueprint (OPRB), which was designed to optimise results following an operation. The steps involved in OPRB are outlined below. We focus on helping you get the results you want from rehabilitation. It is our priority to set goals which have real meaning and achievability for you. The assessment looks at your entire body. What compensations are happening because of your operation, and which areas of your body have become stiff. Our aim is to optimise your movement, and prevent your operation from having a negative impact on you in the future. Most clients at Physical Edge want to get on with their lives, as soon as possible after their operation. To manage your expectations and reduce the frustration associated with recovery, we work together to outline realistic recovery timeframes with you. This empowers you to make the immediate changes you need in your life, to maximise your recovery process. The rehabilitation team around you is key to successful rehabilitation after your operation. Each team member has a specialist role to play in your recovery. Remember you are part of that team, and will need to participate to get the best results. Where clients play their part, we find post-operative results are far superior and sustainable. A senior Physical Edge clinician will be your primary care provider, working with you, guiding you through recovery, and taking responsibility for your results. This means you will always have someone who is making sure the team are together and focussed on you, and you can contact them at anytime for help. Treatment may involve working with several specialists to have the greatest impact on your post-operative recovery. This will involve work on the site of the operation, and other areas of the body, to improve movement, ease pain and control compensations. We enjoy working with people and seeing them perform in life. Once you have recovered from your operation we stay in close contact with you, to manage the small issues that can crop up when returning to normal activities of daily life or taking on new challenges. As we age, start new careers or play sport our bodies also age and change. At Physical Edge, although we specialise in cure, we believe prevention is preferable. To that end, we like to prevent injuries or operations from worsening or reoccurring and so recommend our annual or biannual Physical Edge Body assessments. These assessments provide feedback on what is required to keep you mobile and performing in life, which we will communicate to Personal Trainers, Pilates & Yoga instructors, or any other therapists you use to stay healthy. Our collaboration with your health providers will give them vital information about your injury, so that more tailored workouts will deliver greater benefit to you the client.